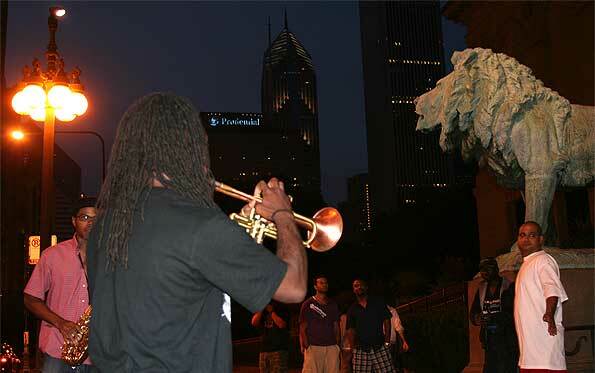 Street musicians and others enjoying the good life on Michigan Avenue in front of The Art Institute of Chicago. Great time of year to stroll Michigan Avenue. Restaurants and STREET MUSICIANS like … Kaliceo Band presented by Kaliq Woods (myspace.com/kaliqjazz). Crown Fountain at Millennium Park on September 5, 2009 at sunset. Crown Fountain is an interactive work of public art and video sculpture featured in Chicago’s Millennium Park, which is located just east of Michigan Avenue and just south of Randolph Street. Designed by Catalan artist Jaume Plensa, Crown Fountain opened in July 2004.The fountain is composed of a black granite reflecting pool placed between a pair of glass brick towers. 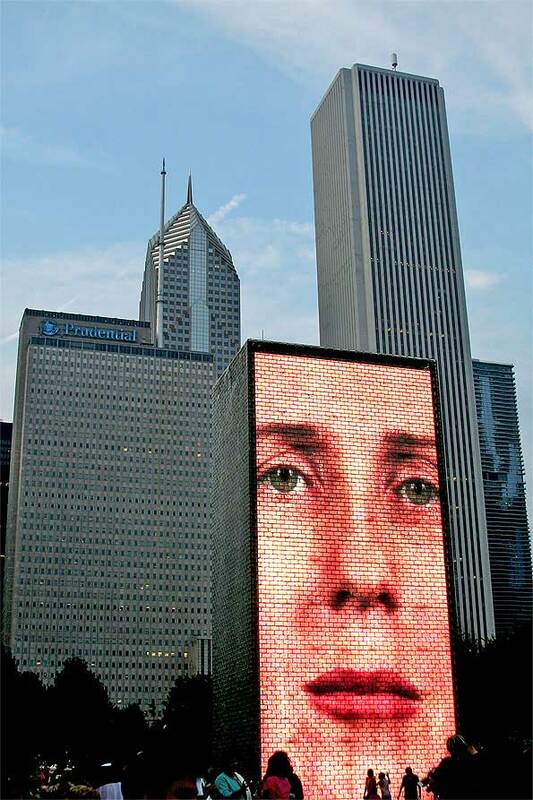 The towers are 50 feet and use light-emitting diodes (LEDs) to display digital videos on the inward faces. Construction and design of the Crown Fountain cost $17 million. Weather permitting, the water operates from May to October, intermittently cascading down the two towers and spouting through a nozzle located on each tower’s front face, which pours out of pursed lips of the image of the person’s face. 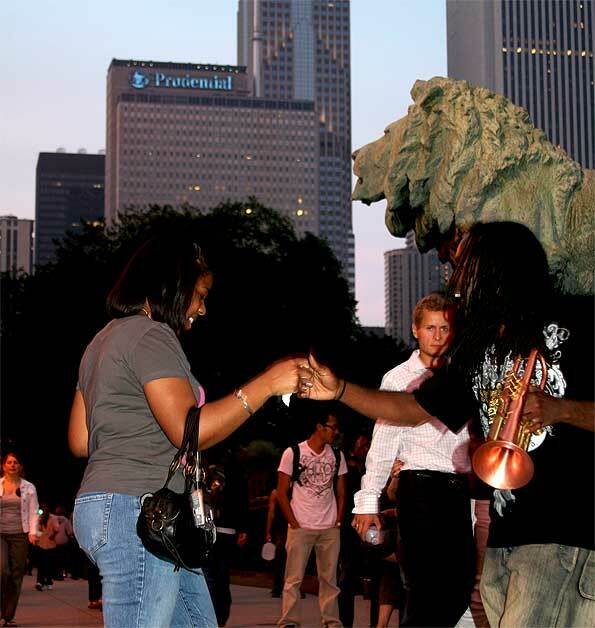 Dancing in front of The Art Institute of Chicago on Michigan Avenue and Adams Street.